what kind of rose is that? the other flowers are pretty too. Hi Roberta – sorry, I am not sure. 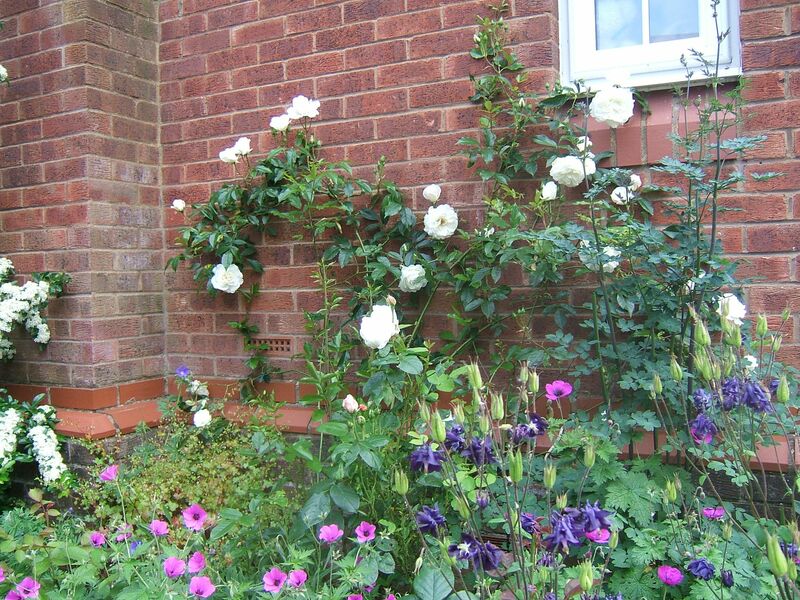 I know it is a climbing rose from David Austin, but at the moment the bed is too heavily planted to find the label. When autumn comes and I clear out the bed, I’ll look for it and let you know.